Suporte - Veículo - Podracer. Custo: 2. 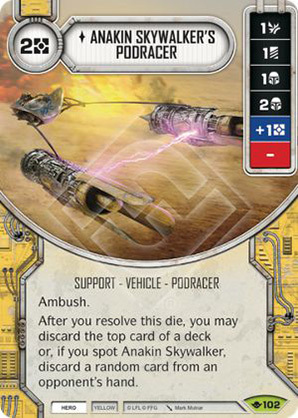 After you resolve this die, you may discard the top card of a deck or, if you spot Anakin Skywalker, discard a random card from an opponent's hand.